My hubby and I often watch one of the food channels on television and sometimes we see types of food of which we are unfamiliar. Chopped is one of our favorite programs in which the contestants open baskets filled with some crazy combinations of things with which they have to make an appetizer, an entrée or a dessert using at least a portion of each item found in the basket. They are also timed and the person making the most flavorful and well-presented dish within the time limit wins and moves on to compete in the next round. One person is chopped from the competition and no longer competes. The ultimate winner who is one person out of four original contestants walks away with a cash prize and bragging rights. Whether we saw dragon fruit on Chopped or another television cooking program does not matter. Suffice it to say we had both heard of this fruit but had never purchased nor tasted it. We were shopping in a relatively new grocery store that has opened in Houston recently called Sprouts. I spotted dragon fruits for sale at $4.99 a pound. We decided that it would be fun to buy one and see what it tasted like. Fortunately, there was a customer in line at the checkout stand behind us who advised us what to do with it. She told us that what she does is to slice the fruit in half and just scoop out the flesh with a spoon and eat it that way. We were grateful for her advice. The lady was of Asian descent. She mentioned that the dragon fruit grown in her part of the world tasted sweeter than what we typically acquire here in Houston. Armed with this information, we went home and shared that one dragon fruit the next morning as a part of our breakfast when we often enjoy some fresh fruit. The taste of the dragon fruit is very mild. It had a texture reminiscent of a soft melon or kiwi berry. It was full of tiny seeds similar in size to a poppy seed but with little flavor. Dragon fruit is not inexpensive. This one fruit cost us $2.50, so I know we will not be purchasing them often, but at least we have now been introduced to its flavor. Dragon fruit is grown in warm climates around the world ranging from Asian countries to Mexico to South America, Hawaii and other places. It is the fruit of a cactus, and there are dark red, pink and yellow varieties. 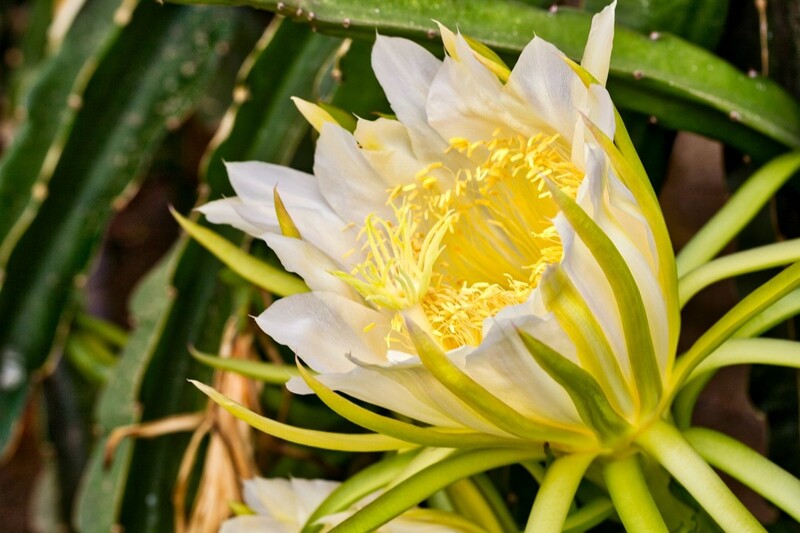 You can learn more about dragon fruit here. 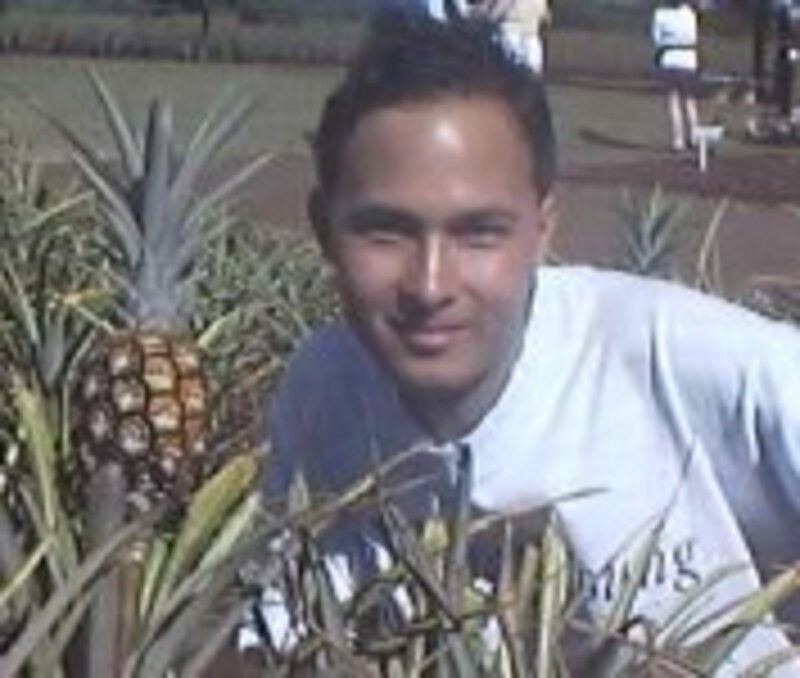 If you wish to know how to grow a dragon fruit the video below will be of help. These approximate values are based upon consuming 1 small white-fleshed dragon fruit. As you can easily tell from the numbers listed below, it can add proper nutrition to a person's daily diet. The percentage numbers are based upon an average 2,000 calorie diet. 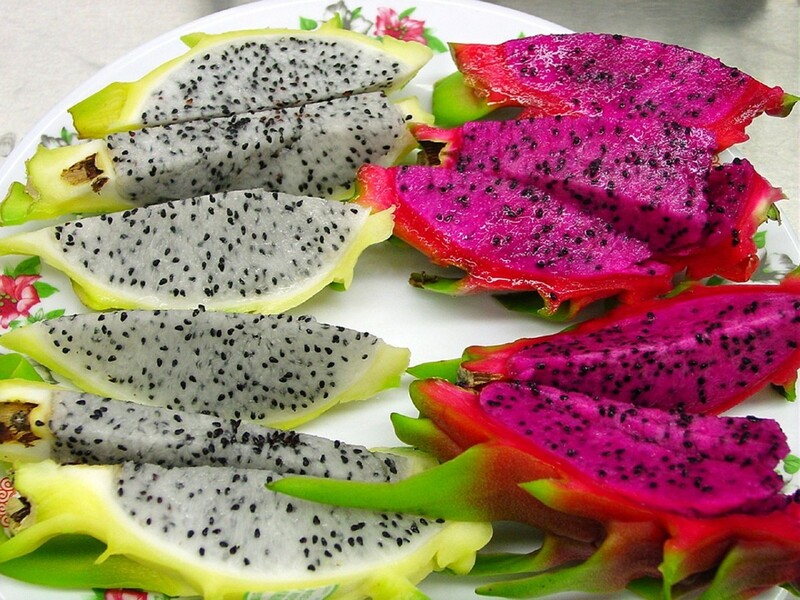 If you know of other ways to enjoy dragon fruit, please leave your comments below. Thanks! 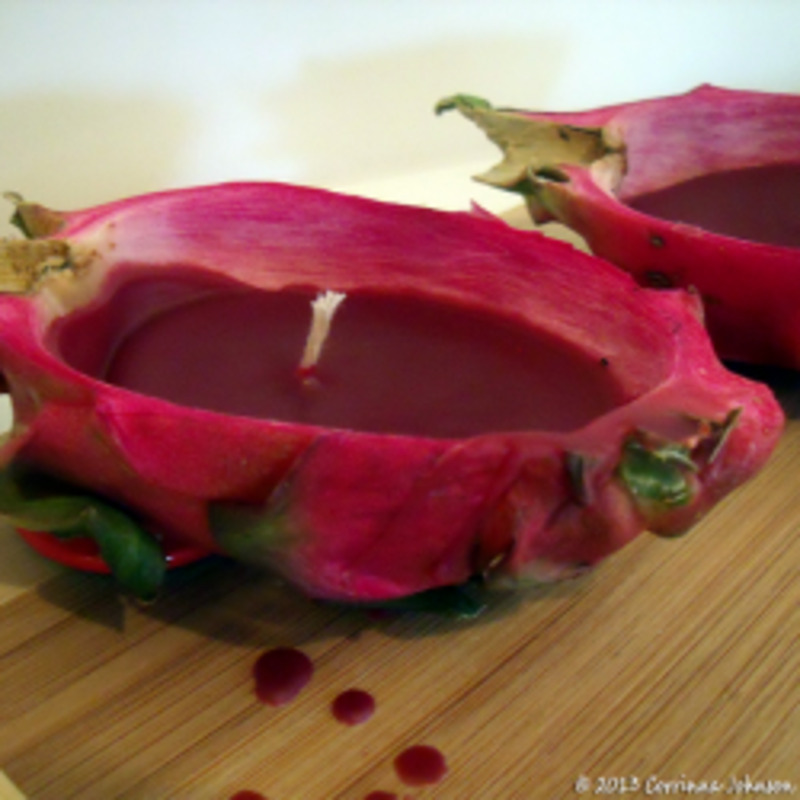 Are you familiar with eating Dragon Fruit? I have tasted it but can take it or leave it. No...I am unfamiliar with it. I have heard of it but never tasted it. 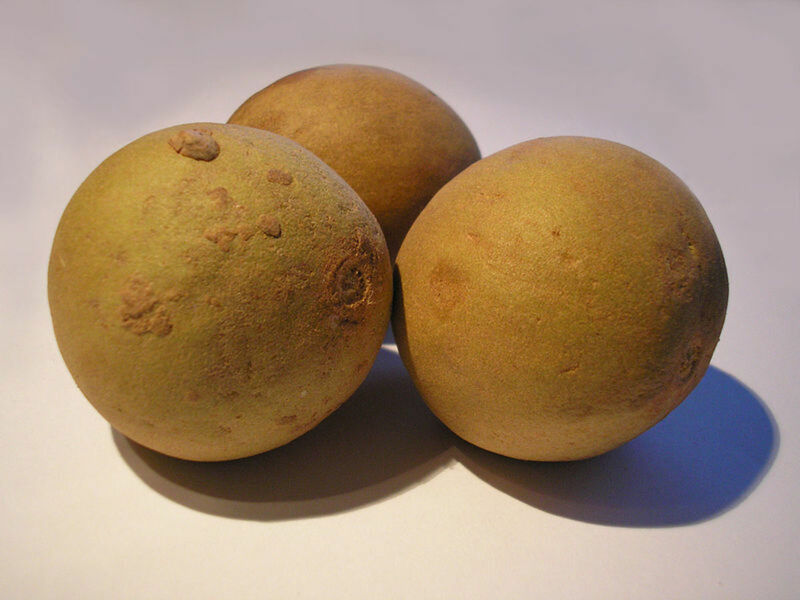 If you cannot find this fruit in your local stores or markets, you can always order them online. Leave it to Martha Stewart to make a mosaic fruit pie using some dragon fruit. Thanks for sharing the link to her recipe. Have never bothered to try this fruit out but recently saw a photo of a mosaic fruit pie (link to article below containing photos of this pie) using dragon fruit. The creativity involved piqued my interest and now I've found your informative post. Thanks much! I've come back to read this again - I love dragon fruit so much. I still have my plants, and they continue to not produced, so I'm sure this is the wrong climate for them, but with global warming, who knows? I will be curious to see if you like this type of fruit. You are so fortunate to have different types of fruit trees in your own yard. From what we have tasted of this fruit we are choosing to purchase other types instead. It does not have that pronounced a flavor. Perhaps picked off of a tree and fresh...that might be different. Obviously all of the ones here are shipped in to us. At least we have tried it! I am starting to see dragon fruit in more grocery stores and not just the Oriental markets. Obviously more people must be discovering it and purchasing it. My husband and I even saw a package of dried dragon fruit in Costco the other day. When you tried it did you like it and purchase it again? Hi Peggy, How adventurous of you to buy the fruit to see what it tastes like. :) I also tried dragon fruit for the very first time just about two years ago. Thanks for this interesting hub. I think that you would like visiting the store Sprouts. That is not the primary place that we shop but do stop in occasionally. Nice to have such a variety of stores available to us. Am sure you do also living in the Dallas area. What a strange looking and interesting fruit. I've never tasted one. I've been curious about the store, Sprouts, but haven't shopped there. Guess I need to explore a bit more. Given the price of Dragon Fruit I am glad that we tasted it but I know that we prefer other fruits to eat on an everyday basis. It is a very mild flavor. I've seen this fruit in cooking challenges, too. It's absolutely beautiful in pictures. If I ever see it at the grocery store, I'm going to have to try it too. Did you like it? I can understand why you might have thought that your uncle was kidding. The name alone would have undoubtedly inspired some doubt in your mind. Dragon Fruit certainly has a peculiar name. I remember when I first heard about this fruit. I was about 12 years old and I thought my uncle was putting me on (that's Aussie for kidding around). He had just come back from vacation and described it to me but I half didn't believe him. It wasn't until many years later that I actually saw the fruit that I realized he was telling me the gospel truth. Nice that you got to try a Dragon Fruit for free. I agree that it is nice and refreshing but given the cost verses other types of fruit it is not something that we have purchased again. Hi there.. interesting article about the Dragon Fruit! I recently won one at my weight management group and ate it. It is light and refreshing, but not something I would stock in our fridge. Have you bought it a second time? I notice that Walmart carries them. I see online that it makes a pretty salad with blueberries and strawberries, with the dragon fruit cut out in melon balls. Dragon fruit does not grow where we live either but we do get to see it in stores. It definitely has a mild flavor. 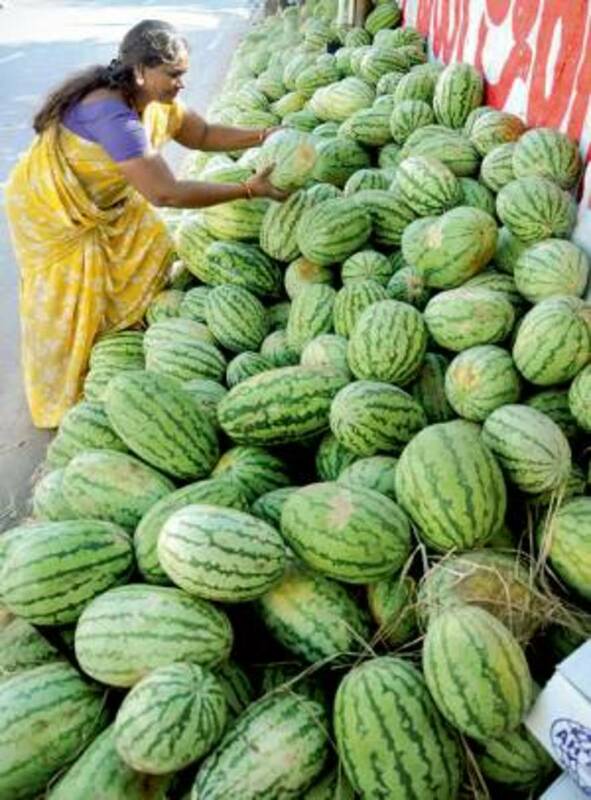 We do not get this fruit in India. I tasted Dragon fruit for the first time when I visited China a few years back. I just loved it's mild taste & flavor. We saw some different colored ones in the store yesterday and they are pricey. Hope your friend is having luck growing and selling them. I have heard of them, in fact a friend told me that she was going to grow them as they sell well and thinks she can make a lot of money doing so. I wondered but wished her luck. So far have not heard how she got on with her new venture. They certainly look like a different type of fruit that we are used to eating. Thanks for the info, always good to learn something new. After reading your hub I am looking forward to trying dragon fruit. I like melon and cantaloupe so I think I will like this. Have a beautiful Saturday. I guess we both learn a lot by watching the various food channel shows. Nice that you also tried dragon fruit. The taste certainly is mild. I had dragon fruit once and it was milder than I had imagined, considering the bright appearance. I enjoyed trying it for the first time. Like you, I also watch the Food Network and find it so interesting to learn about new foods. Thanks for the great hub, Peggy! I am happy that reading this hub made you aware of how to eat dragon fruit. I loved seeing the open air market in Freiburg, Germany when I visited there years ago. My friend lives in Herrenburg and we toured southern Germany with a trip into Switzerland to see the Matterhorn on my visit there. Such a beautiful country! It is expensive here also. Glad I tried it but we will no longer be doing so. Dragon fruit is undoubtedly different if able to pick it off a tree and eat it fresh. That would be fun to try and see the difference from those shipped from far away places. 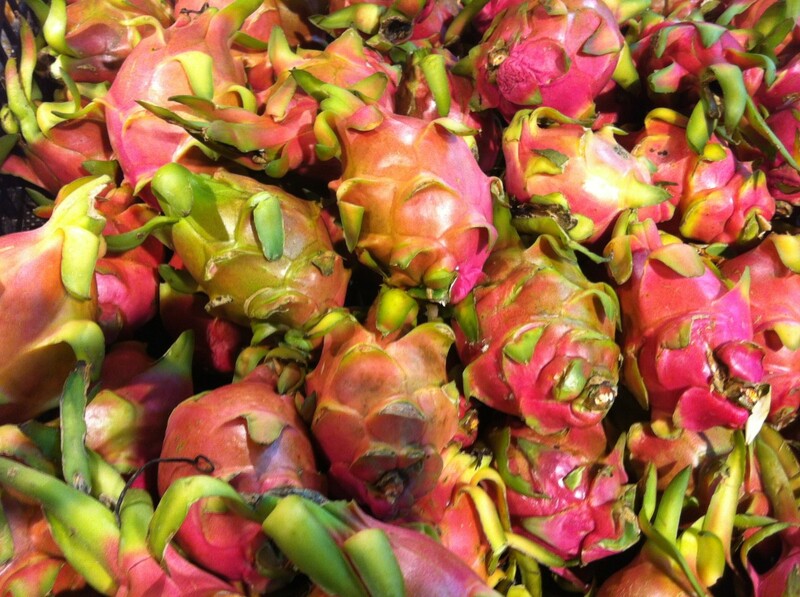 I have seen dragon fruit in our open air market but I have not tried it yet. Now, I know what to do with it and how to eat it? Thanks for the information in this hub. 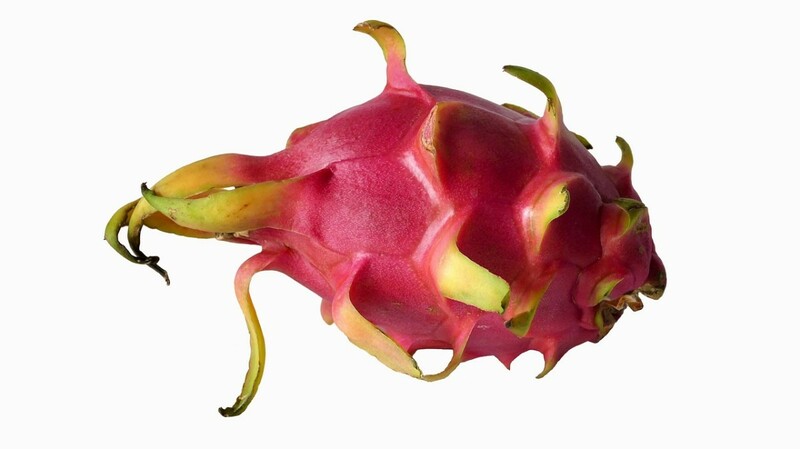 I've occasionally spotted dragon fruit in my local supermarket but never tried it. Very expensive for something that you say hasn't much flavour. The nutritional content doesn't look very impressive either. Thanks for the info - I will keep my money in my purse. 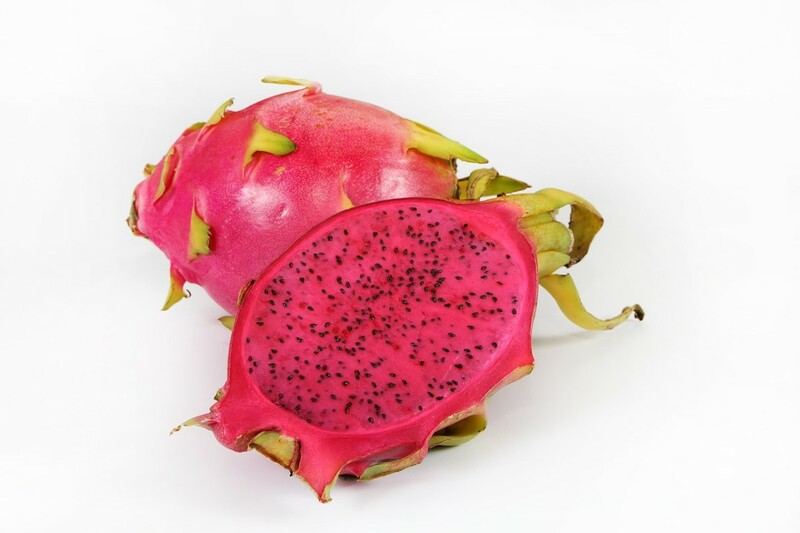 I hope you can find dragon fruit where you live so that you can give it a try. Thanks for letting me know you liked this hub. Thanks for sharing all the interesting information about this unique fruit! I have never seen or eaten this earlier but now I would like to find it. Your hub is so well presented with all the necessary details. I have not heard of the fruit you mentioned...that of mamey. Will have to look that one up and see if it is offered in any of our markets here in Houston. Thanks for reading and for leaving a comment. I have not seen this strange fruit earlier. Another fruit about which I learnt recently is Mamey which is found in Central America. Thanks for sharing the information. 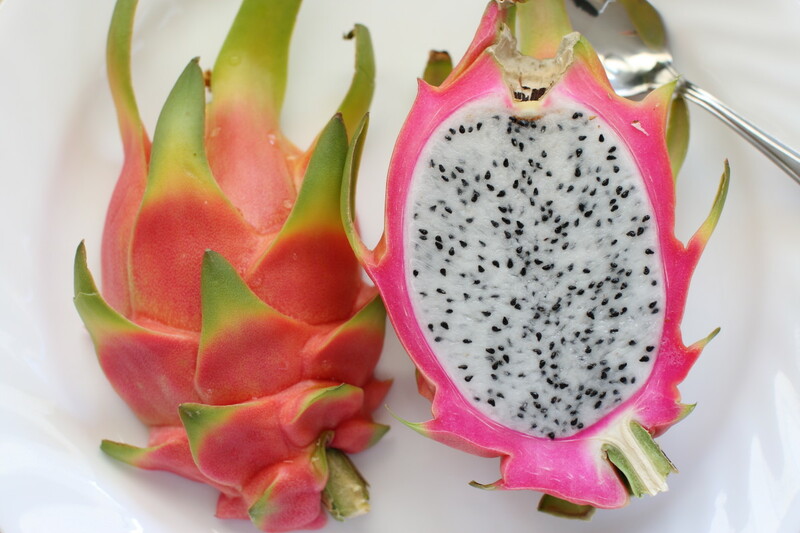 To really taste it and know the flavor you would have to try and find an actual dragon fruit and eat it. You're probably right about that. I know often times there are fruit juices that have only a small percentage of the actual juice. If it was mixed in with other fruit flavors all you probably derived from drinking it was the sweetness. 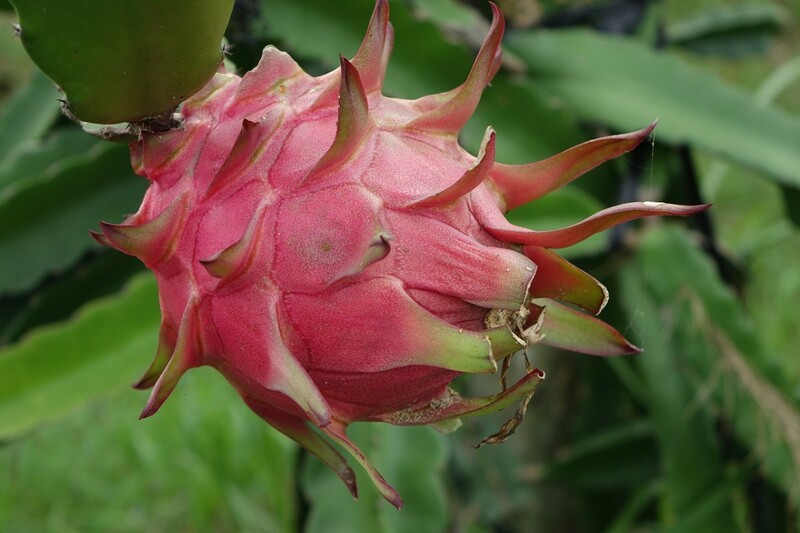 Will be eager to find out what you think of eating dragon fruit when you get a chance. Fun to explore tasting new things! Thanks for asking about the floods here in Houston. We have escaped damage so far but some friends of ours have not. It is terrible having 2 to 3 feet of water in one's home! It ruins just about everything! Many new roofs going on in our subdivision due to hail but a roofer we consulted says ours is still OK. Hope all is well with you. Blessings to you and your family. It is tasty but given the cost we will not often indulge in eating it verses other types of fruit. Thank you. So this is dragon fruit. I first saw it as a flavor in one of these fruit drinks. Hope you can find it where you live so that you can try it to see if you enjoy it. I know we would not find it here in our local farmer's markets because they are not grown here. They must really be sensitive to growing in just the perfect climate. Too bad yours will not put out buds and produce the dragon fruit for you especially because you like eating them so much. I would like to eat one fresh off of a tree someday. I am sure it makes quite a difference in taste and texture. The ones sold in grocery stores here are who knows how old? Sounds like you had a lot of fun sharing new fruit discoveries with your dad when he was alive. You will carry that fun memory with you now. :) Thanks for the share. Glad that reading this made you curious to purchase one and give it a try. Appreciate the shares. It is HOT, HOT, HOT down here right now with "feel like" temperatures approaching 110 F. Glad our AC works!!! Stay cool up there in your part of the state. If you decide to try one, let me know your impressions of it. OK? Hoping all is good with you and that you have been out of harm's way with all of the flooding. dragon fruit is nice and sweet but the outlook scares any kids off ! I hope you do get to taste a good dragon fruit at some time. Depending upon where it comes from and how fresh it is might make quite a difference in the flavor and taste. Thank you for introducing me to Dragons Fruit, Peggy. I hope to try it some time, you got me curious so I'll be looking for it. I am going to see if this is even available here at the local farmer's market. Thanks for the education on this fruit. Having lived in Queensland where they are easily grown, I love them, but they're so expensive down here in a cooler climate. I've been trying to grow on for about four years. The plant grows, but does not produce buds. Sad. Another great share. I have heard of it but have never seen it in person. It is fun trying new fruits, I like to do that too and when my dad was alive that is what I would buy him as gifts because he was hard to buy for and this was something he had a lot of fun with. I haven't tried this but will if I see it and will remember how to eat it. I've probably seen these fruits at the grocery store and not realized it. They do look interesting and the fuchsia colored ones in the video are beautiful. Now I'm going to have to find some and try them! Sharing this very informative hub with followers and pinned to Awesome HubPages. 91 degrees here today and still rising. The rain has stopped. Hope you are in a cool place and that all is well . . . I'd like to try a dragon fruit, too. Thanks for sharing the information about it. It's a shame that the sweeter type that the lady in the store mentioned wasn't available. I'm eager to see what the ones in my area taste like. Whatever it takes to delve into new taste adventures is OK. Ha! The appearance of food definitely influences people. It is fun trying new things. Sometimes we like them and sometimes not...but at least we then know. 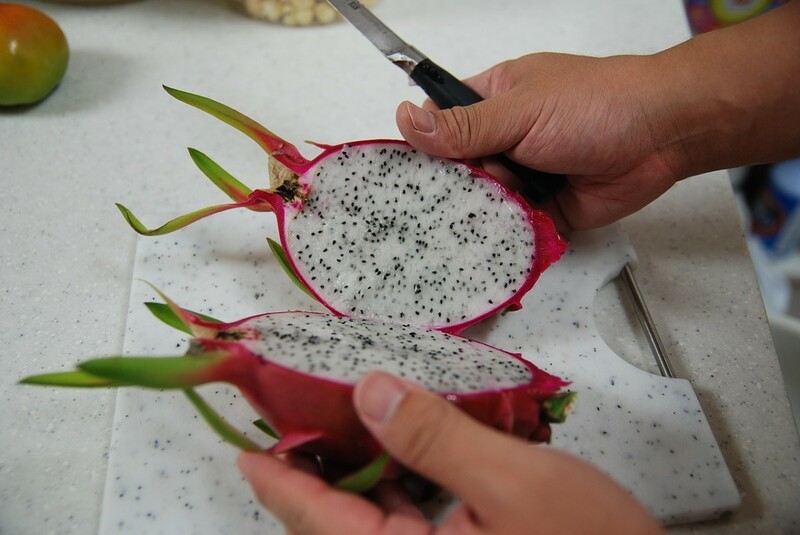 Hope you get the chance to taste dragon fruit someday. I've never eaten one but have heard of them. I'd love to try!